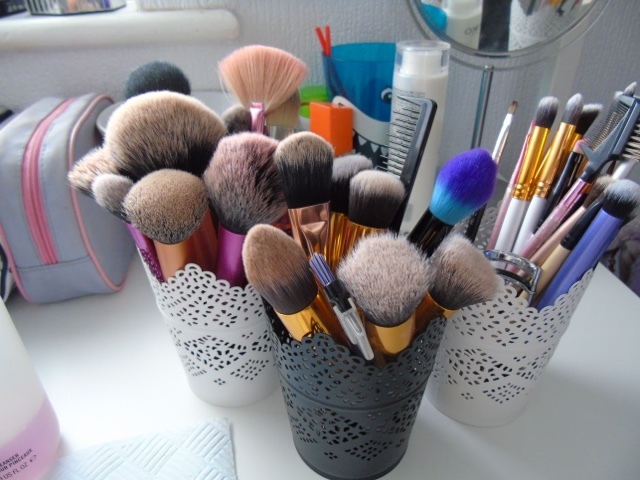 Who else finds washing their makeup brushes a chore? It takes sooo long to do and should be done more often than any of us wishes to admit. 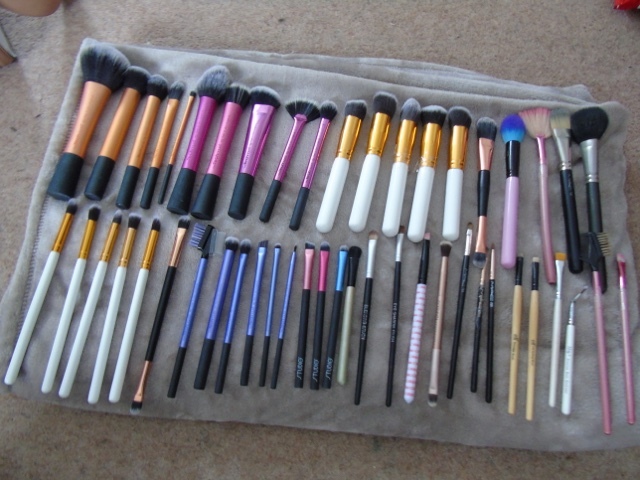 I personally clean my brushes at least once a month - yes I know it's not good enough but I never seem to find the time to clean them all! However I do switch up between brushes after one gets too dirty. 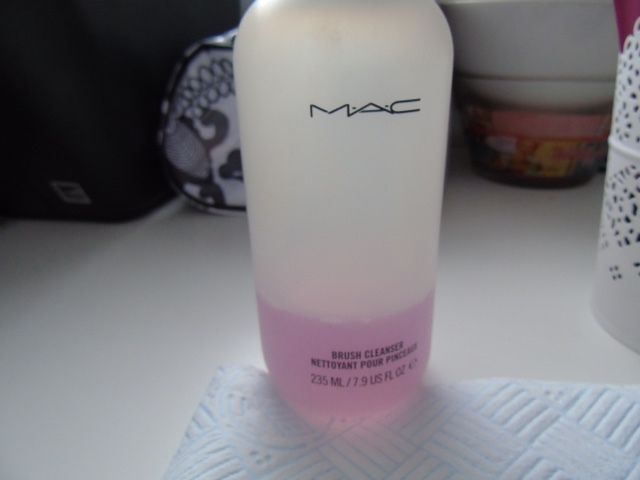 I usually clean them using MAC's Brush Cleanser which you can find here for £12. I've been using this for over a year now and I use up around 20ml each time for all of my brushes - and I do own around 50. 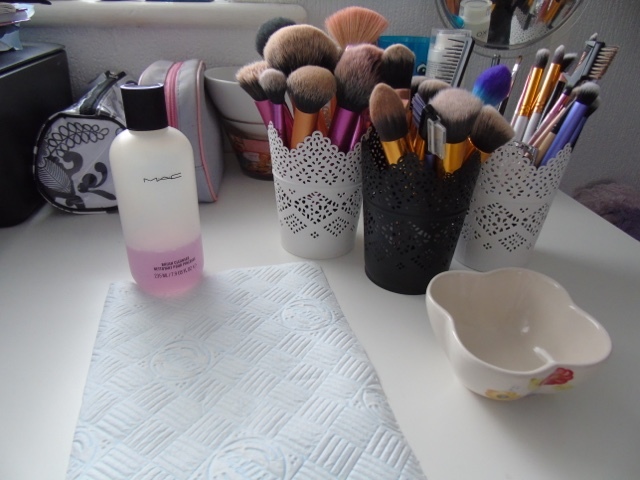 Firstly, I like to get organised and grab all the tools I will be needing before I get started. 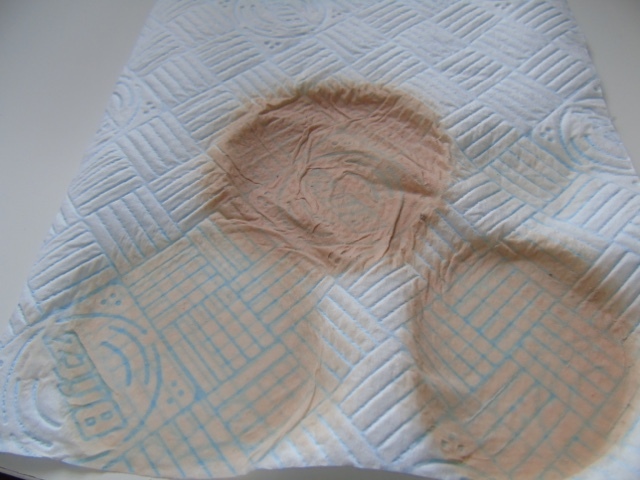 I usually get a small dish to put the cleanser in, and paper towels to rub the makeup off onto them. 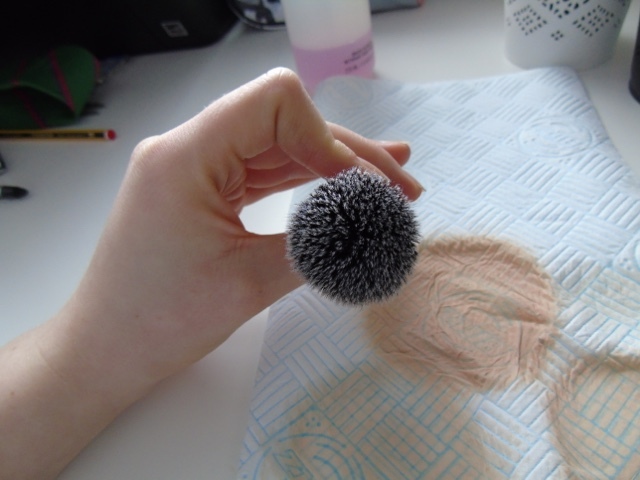 So as you can see, I grab a dirty brush and soak it in the solution. 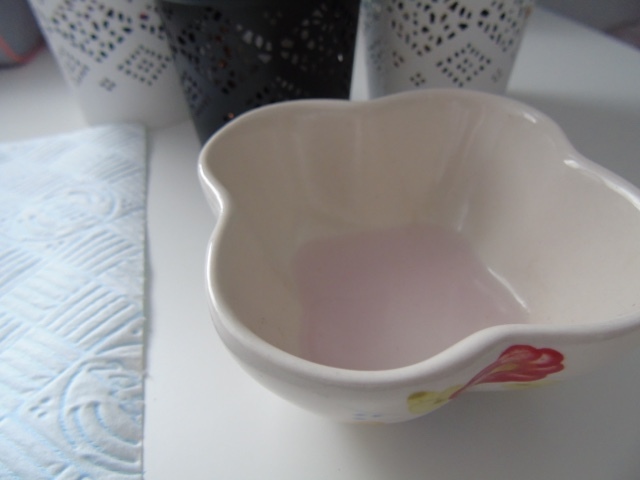 I try to do this sparingly as too much solution will make the bristles become too coarse and sometimes it can get inside the handle and cause the glue to stop working resulting in the brush to come apart. And that is not what you want to happen, especially to expensive brushes! 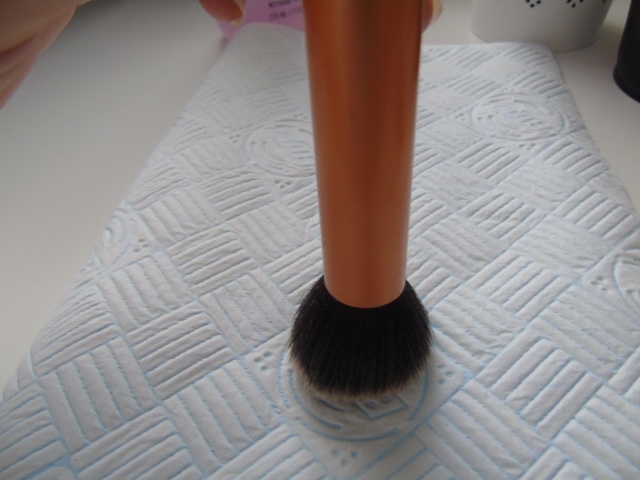 After I dipped the brush in the solution, I swirl the brush onto the paper towel in circular motions until the brush has no product left in the bristles. Ta-dah! Yes, it's that easy! 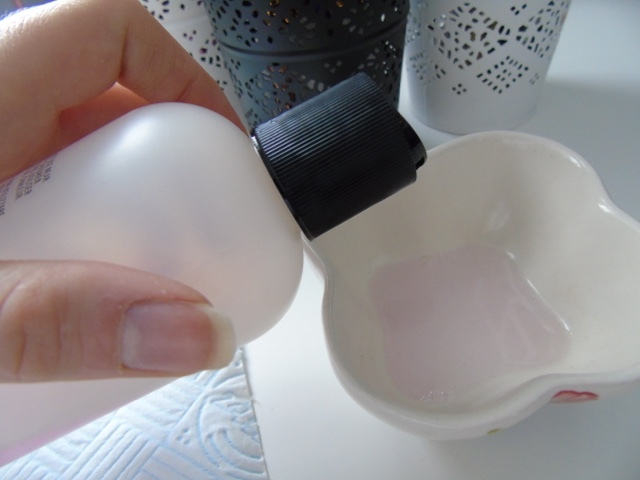 However, if you don't feel like spending lots of money on special cleansers you can easily substitute it for a bit of washing up liquid or shampoo and then rinse it out under a running tap without allowing the water to soak up the whole brush. I hope this helped! 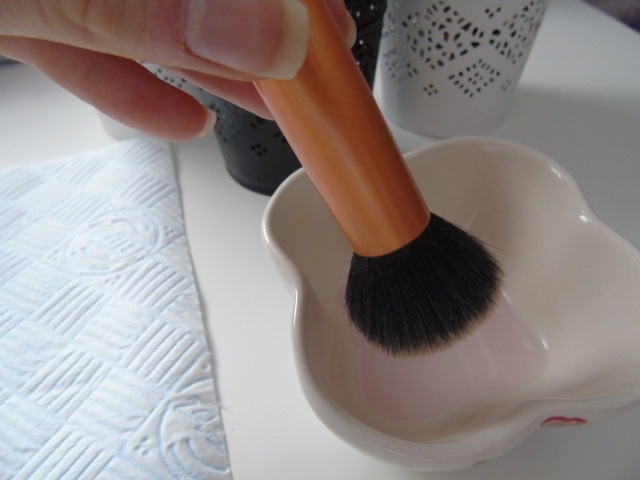 How do you wash your brushes?